It was almost exactly 3 years ago that I decided to do something drastic. 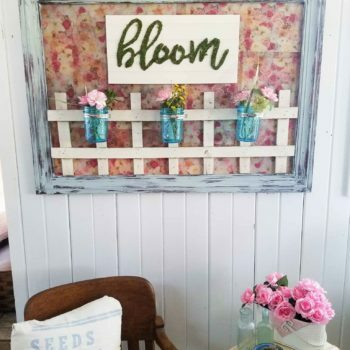 My husband and I took on the exterior of our home in DIY form as we are known to do. He tackled the stone veneer on the front, while I took care of painting the entire house top to bottom (yep, all by my lonesome self). 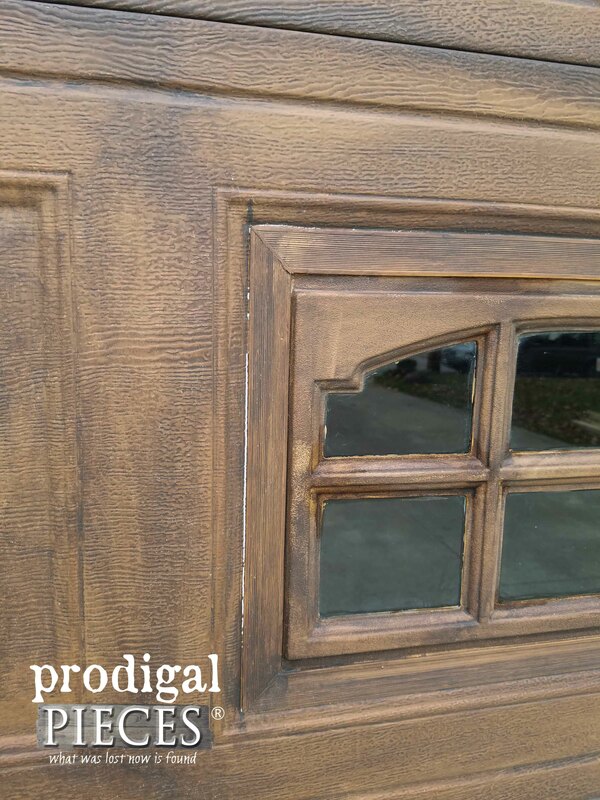 I decided to take our builder grade garage door to a new level and give it a faux wood look. 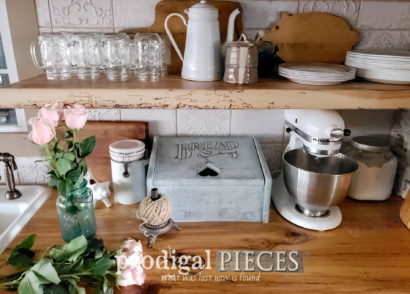 Many have asked, “How has it held up?” So today I’m going to show you the 3 year anniversary reveal, plus give you a few tips on how to refresh old wood with my latest treasure. Boring before, but oh-so-good after, isn’t it? You still wouldn’t believe the number of rubber-neckers we get and people who stop to ask how I did it. I am so utterly glad I tried and took a chance. Won’t you pin and share so others can get that high-end look for less? Then, I have another goodie for you. Now for my other tip on how to refresh old wood. 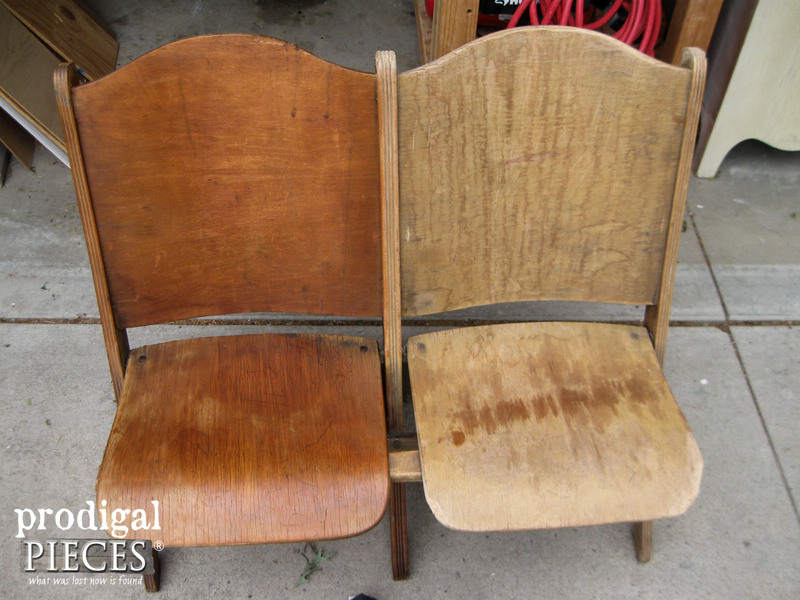 For ages I have had on my “desire” list a set of old theater/church seats. So you can imagine my utmost excitement when I found this pair on our local Craigslist that had just been listed. I squealed like a child (ahem) and hurriedly called to inquire. You may be asking, “Why do you want them?” Because they’re rare, they’re cool, and create unique entry (or anywhere) seating. I’m all about different. tee hee. Good news is that they were super-affordable. Somewhat bad news is that they were used as a dog chew toy. I got to meet the two offenders – they were gentle giants, and why the owner decided to sell the seats before they got more damaged. Not only had the wood been chewed up, but also were so absolutely parched. The wood was brittle and flaking in many spots since it was made out of layered wood. I wanted to halt that deterioration immediately. 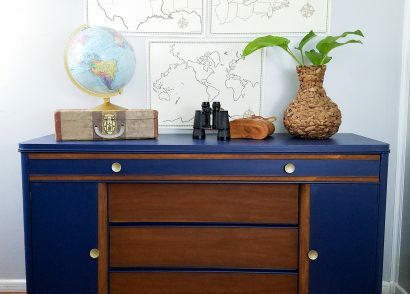 I don’t use paint or stain with this type of problem, but my favorite tool to refresh old wood is boiled linseed oil (or tung oil or even hemp oil ). 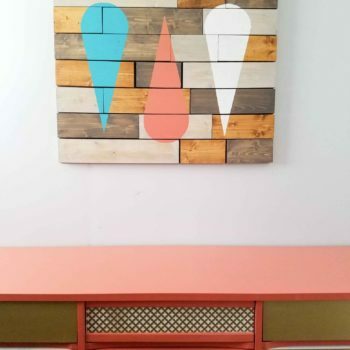 This time I used linseed oil and demonstrate how easy it is to see the gorgeous wood come to life as shown below. Isn’t it amaaazing?! It keeps some of the wear showing for a gorgeous patina, but absolutely refreshes the wood without altering it. As you may have guessed, this isn’t a new thing to me. 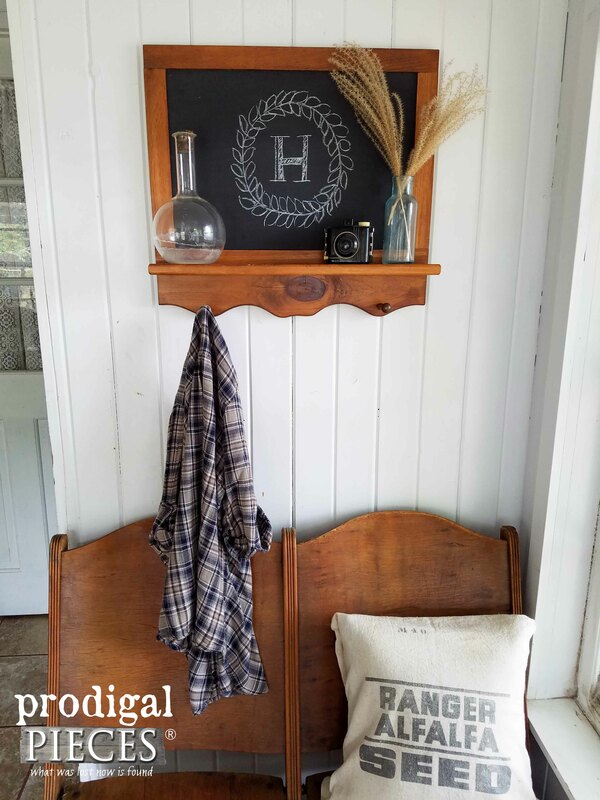 I also rescued my antique pew that also had been a chew toy and left for dead outside in the mud. I tell all on my post over here. In addition to the pew, I have also used this same technique on a several furniture and craft projects. Not only are they wonderful because they fold up, but they offer storage in the back where hymnals or accessories used to be. The best part is how they showcase rustic charm. 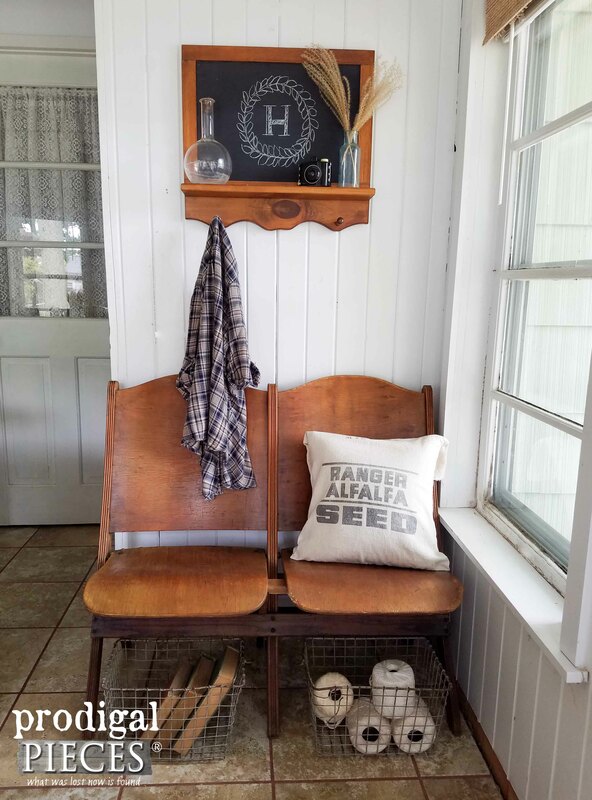 Oh, and if you love that chalkboard rack above them, you can find that available in my shop, (SOLD) and I should be restocking some more of those wire locker baskets. They sell out fast! You can bet I will certainly have fun playing with these beauties. Now if only I could get my house done. One day! I love what you did to your garage doors. Now all I need is a garage! That would help!! 😀 You can do this to your exterior entry doors as well. Works wonders! I love the garage door buthow did youdo it…where is the tutorial ????? Love love love it!!!!! Lynne, it’s in the first section of the post if you click on HERE. It will tell you how to do it. 😉 Thanks!! Love the refreshing of old wood. 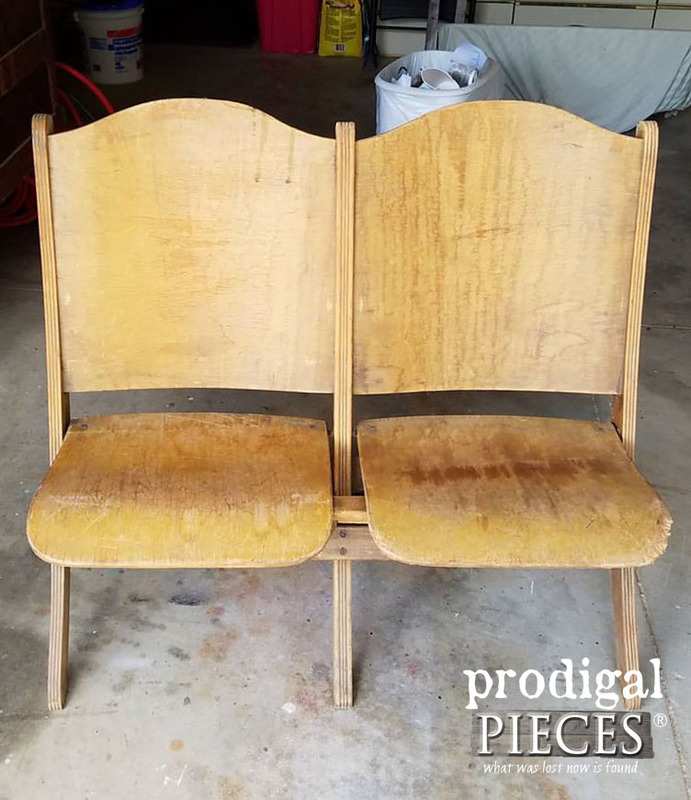 Now I need help with an old dining set that has a clear coat but needs help. What are your suggestions? Wow! 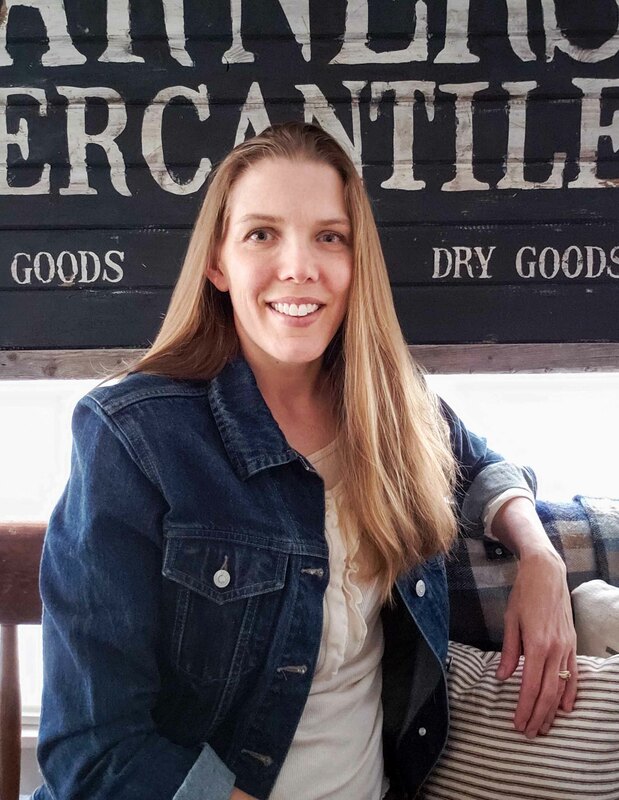 I love the garage door, it really looks like wood and I love the pew chairs they look beautiful. Just love me some Linseed Oil! 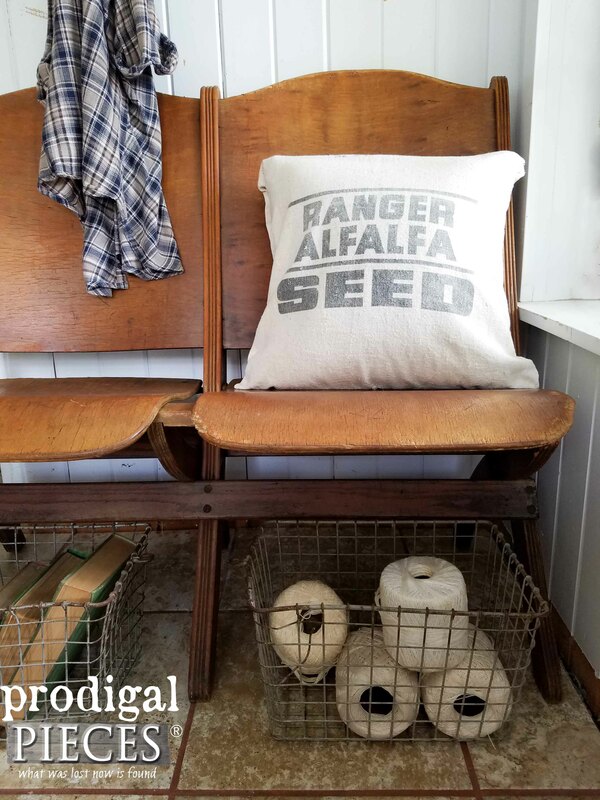 Love your chairs and am in love with the garage door! 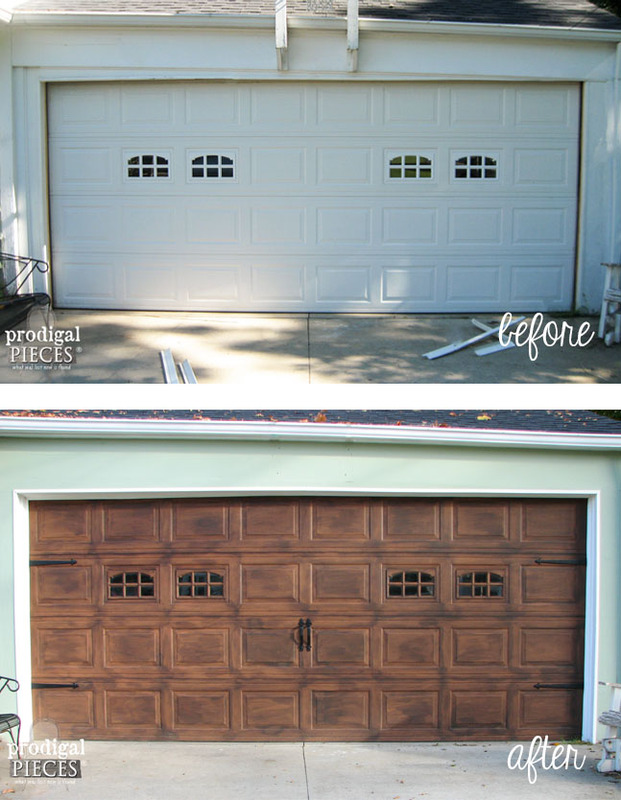 The transformation of the garage door is amazing… and I’m thrilled it’s held up so well after three years! Beautiful, Larissa! 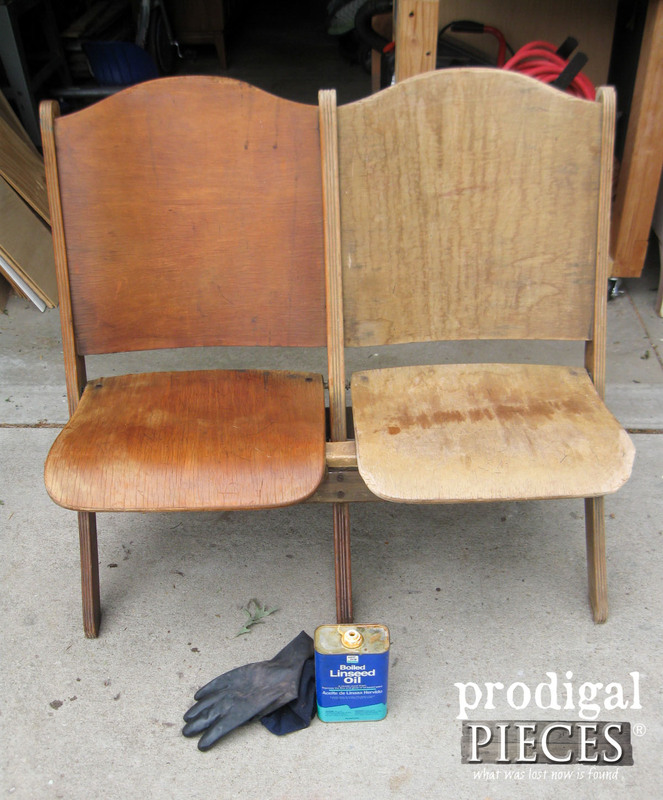 I have an old pew that needs some linseed oil lovin’. Thanks for sharing!! 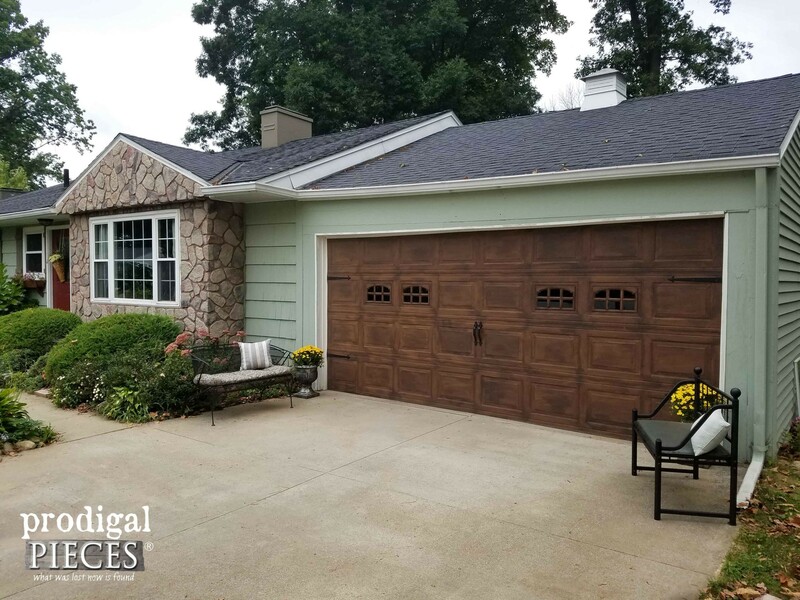 What color of paint did you do around your garage too? 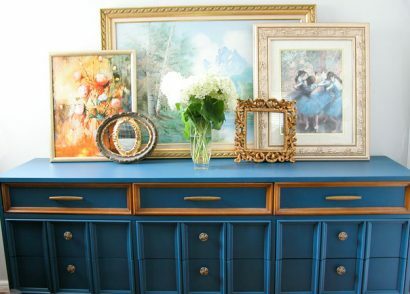 That is my favorite color, and how great to know I can get the look of wood with paint. I will definitely try this. Do you mean my house color? It is my custom mix. I’m happy to hear you like it! 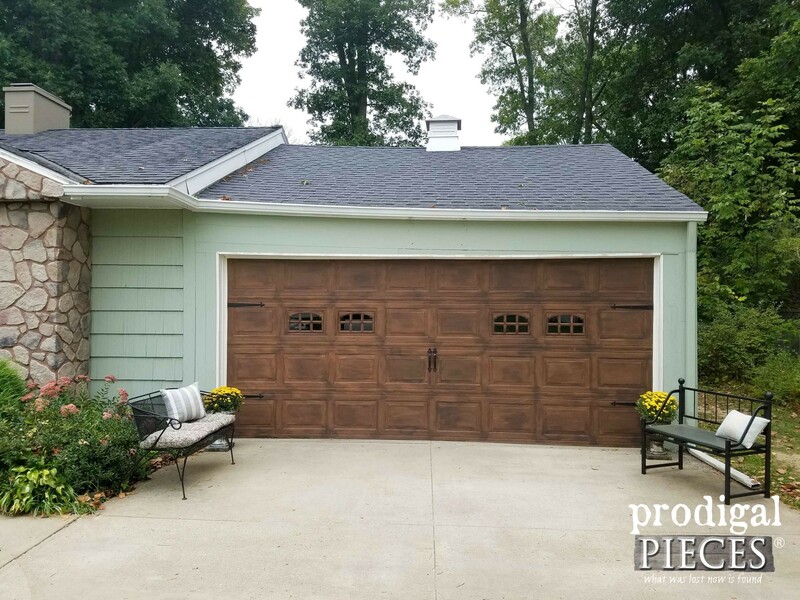 Could you tell me how many days it took you to complete the garage door project? Sure. It took two days.